Our story ~ Adopt-a-Soldier Platoon, Inc.
AaSP’s Operation Wounded Care supports our Wounded Veterans and provides services and necessities that enable their independence and improved self-esteem. This includes, but is not limited to: specially-adaptive vehicles; motorized wheelchairs; entertainment/recreation; hunting and fishing trips for Wounded and Homeless Vets; financial stipends; and other needs they may have. 100% of restricted monies for Wounded Care go to these programs. In 2017, AaSP spent over $250,000 on these programs. We provided various grants to help our Vets: fishing and hunting therapy trips; housing improvements; financial grants; and entertainment/gifts for the Super Bowl and Holiday parties at Walter Reed hospital, including gifts for Wounded Vets’ children. In 2015, we sponsored a grassroots “Warfighters Independence Weekend” on July 3-4 to help reduce suicide amongst Soldiers of the 10th MTN Div and we continue that mission. Operation Wounded Care is funded primarily by our Salute to American Heroes Gala, which is held during October. This year's Salute to American Heroes 6 will be held on 18 October at the Royal Manor in Garfield, NJ. 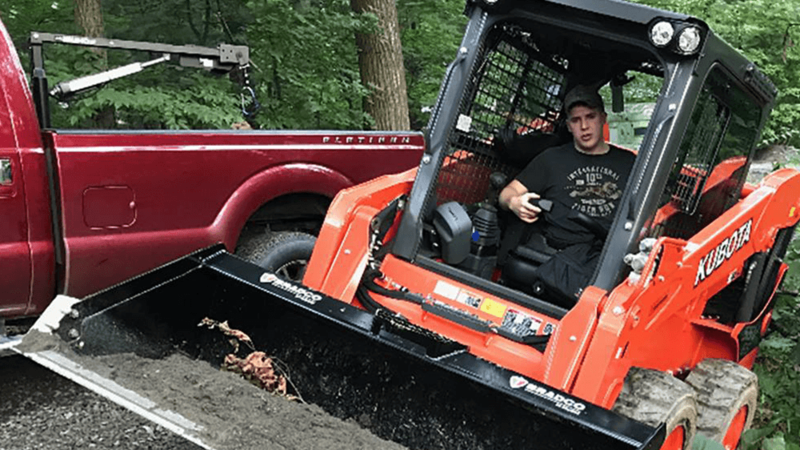 AaSP also supports the ideals of Camp4Heroes, a 184-acre retreat in North Carolina that is being developed as a sanctuary for Life, Love and Respect for our Injured Servicemen/women. We believe the Camp4Heroes will be instrumental in helping our Wounded Vets heal their souls from the trauma of war. 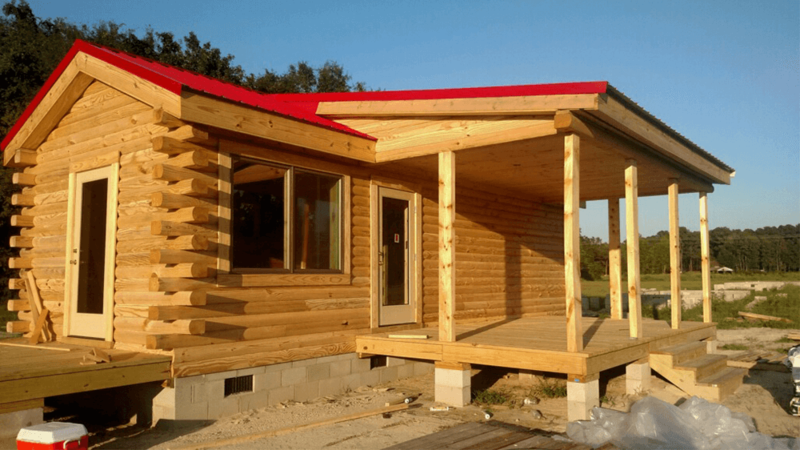 AaSP has made huge improvements to the Camp and built the first cabin on the property to house Wounded Vets and their families when they visit. Additionally, AaSP encouraged the American Legion of Bergen County, NJ, to build a cabin and a third cabin is nearly finished courtesy of the Cannata Group and US Bank. 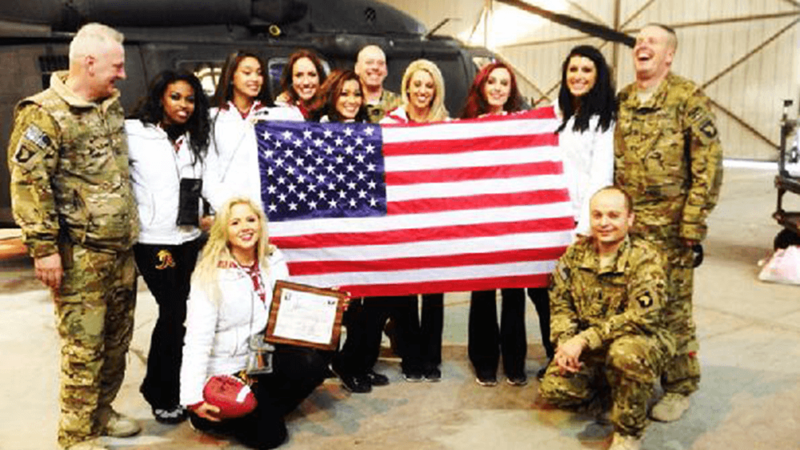 Adopt-a-Soldier Platoon has also made Morale Welfare Recreation (MWR) Military Appreciation Tours with the Washington Redskins Cheerleaders. The Cheerleaders put on a great variety show. In January 2014, on a trip to Afghanistan, we added an Elvis impersonator. 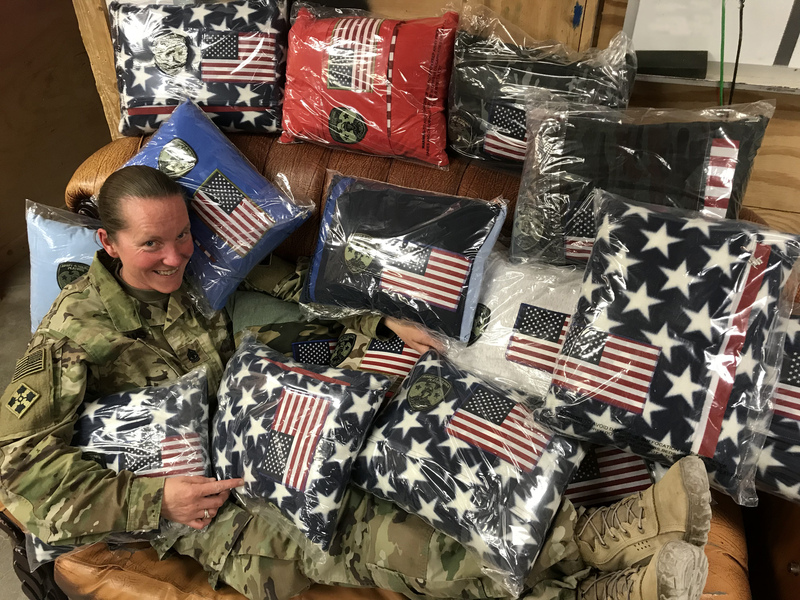 We also bring exercise gear; entertainment amenities, such as Xboxes and iPods; and healthy snacks, candy and fresh roasted coffee, to name just some of the items, to our Troops. Adopt-a-Soldier Platoon got started literally by accident. About two weeks after the U.S. invaded Iraq in 2003, Mary-Edna Krutchkoff, a school nurse at the time, had her parked car hit in the school parking lot by the school’s female custodian. Mary-Edna called her husband Alan at work at Unilever Bestfoods in Englewood Cliffs, NJ, and explained there was serious damage to her car. “Couldn’t she see your car in the parking lot?” he asked, somewhat angrily. “She had a lot on her mind,” Mary-Edna replied, who then went on to say that the woman’s son-in-law had just deployed to Iraq. “Oh,” was Alan’s remark, whose emotion changed from anger to empathy. He then contacted a buddy at work, Holmes Brady and said, “Let’s adopt this kid. He’s a sergeant in the 82d Airborne." Turns out that Holmes’ dad was in the 82d during World War II. So there was an instant connection. The two men went to the company store and started buying goodies for the young sergeant. And the word spread amongst their fellow employees that they were supporting a deployed infantryman. Soon after, others came to them with loved ones who were serving. And teammates offered to help support the mission by donating $20 bills. Within a few months, there were about 25 folks supporting three Marines and the original “Adoptee.” Krutchkoff said, “We’re the size of a small platoon. Let’s call ourselves the Adopt-a-Soldier Platoon.” And that’s how the Adopt-a-Soldier Platoon was formed. Fifteen years later, it’s more active than ever.